You are currently browsing the tag archive for the ‘marvel’s strange tales II’ tag. Well, make that PAGE of the week. And if you think I’m having trouble editing myself, know that I could have easily scanned pretty much the entire issue of Marvel’s Strange Tales II #3 and put it up for contention. Great, great issue. Kate Beaton knocked it out of the park (twice!) 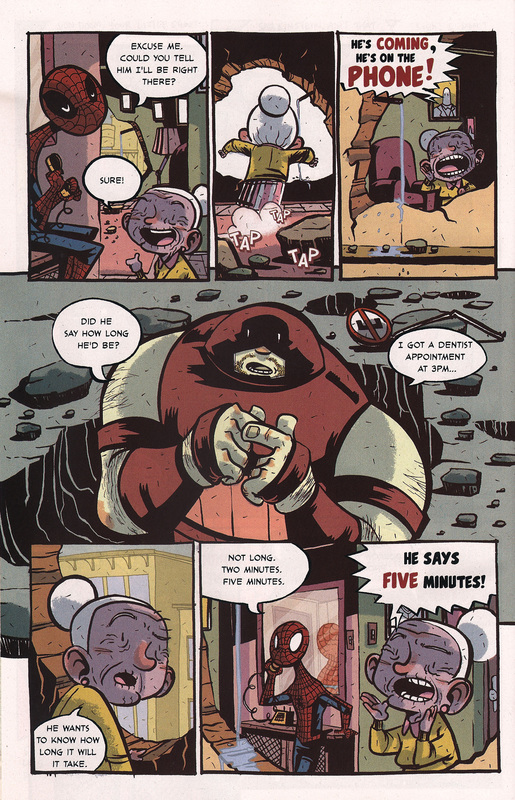 in her funny pieces, and everyone else brought their A game as well…but I couldn’t resist this page from Eduardo Medeiros’ piece (with an assist by Judy Leheup). I tip my hat to you sir…awesome stuff. 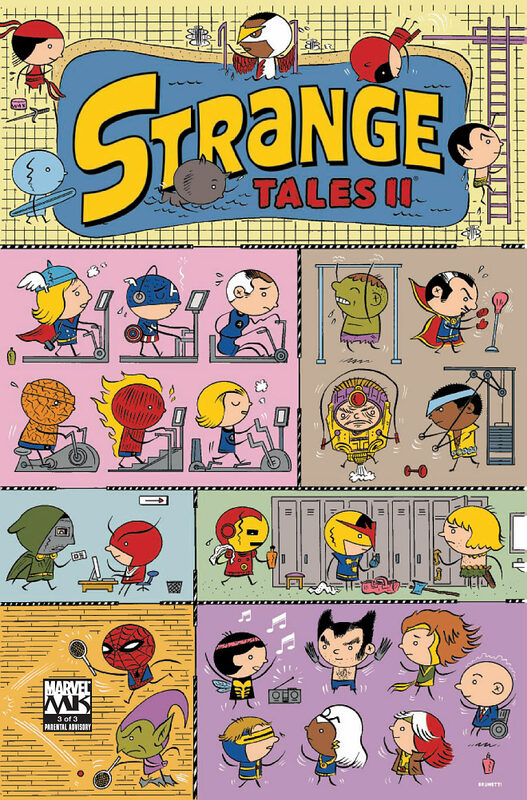 Easy win this week for Marvel’s Strange Tales II #3. A bunch of hilarious giant headed Ivan Brunetti superheroes at the gym (and Spider-Man playing raquetball!) who can beat that? Nobody, that’s who!